Throw on a light latte jacket when wearing this romantic monochrome print dress. Keep the entire look crisp to keep you cool and cheery all day long at the office. 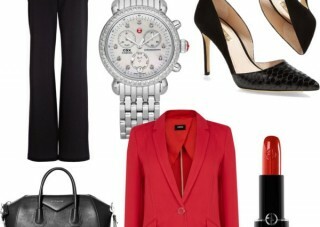 Ladies, I have created 5 office looks for spring & summer. 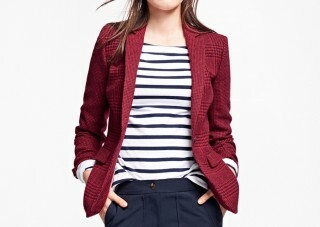 The color is so crisp plus the basic pieces that are easy to mix-and-match. 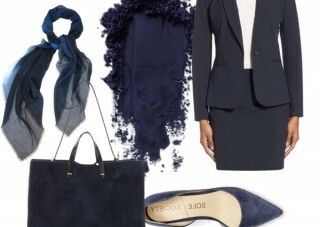 You can count on a tailored navy suit for a smart business look. It’s hard to argue the chic contrast of red & black. A gray suit can keep you looking smart and stylish while being superbly versatile to be worn as separates.